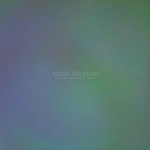 Just in time for Christmas, Small Life Form delivers a pure slab of aggressive ambient drone. Just like home, it is not safe but it is warm. Jesus is coming to love & destroy us all. : Prefer to listen on Bandcamp? : Prefer to listen on Youtube? : Prefer to listen on Spotify? “a pure slab of aggressive ambient drone”? Between the title and this one line descriptor of this one track release, what more really needs to be said about It Is Not Safe? Are you one of those that dreads Christmas? Neverending Christmas music loops like so much sonic warfare in your ears? Horrible friends and family? Does Christmas make you feel like Harry from Christmas Evil? Small Life Form’s longform blown-out ambient textures are not as terrifying as the descriptor might make it sound, however. It’s less terrorizing than claustrophobic, as seemingly monolithic Jacob’s Ladders and Tesla Coils spark and hiss around you, like some Cosmic Horror mad scientist’s laboratory. This is, quite simply, a damn fine power noise/harsh drone record that conveys a feeling that a narrative arc couldn’t. Endless, drifting, grinding, ruminative, anxious, powerful… the perfect soundtrack for feeling slightly out of whack while everyone else is full of glad tidings and good cheer! US project SMALL LIFE FORM is the creative vehicle of composer and musician Brian John Mitchell, and since he started this venture in 1998 around a dozen albums and EPs have been released under this moniker. The EP “It Is Not Safe But It Is Warm” dates back to 2015, and was released through US label Silber Records. Drone is a type of music closely associated with Silber Records, and this EP is all about drones. Or drone one might say, as this is a one track affair that clocks in at a bit over 12 minutes. From what I think I can hear there are two main drones here, and while there are some subtle noises that creep in beneath those I do not know if these are additional effects or merely small reverbs and fluctuations in the drones themselves that manifests as additional, subtle presences throughout this fluctuating journey. At the onset we are treated to one hovering, fluctuating drone with a fairly constant and relatively smoothy sound, with a supporting layers that produce a rougher texture with something of a machine like, fluttering expression. These two then move toward each other, meeting up as two fairly constant static presences midways, and then seguing back towards how these drones appeared initially. At the end one of the drones close down with lighter toned, shearing noises, while the remaining fades out towards the end. Not all that much happens here, this is a journey through landscapes where the alterations are of a minimalist nature and the changes are as subtle as the drones themselves are not. A pleasing enough experience, but not a creation that will have any substantial appeal beyond those who enjoy layered drones created by distorted, electric guitars. If you happen to enjoy such music however, this is an EP worth taking notice of. If you have been a regular reader over the years you will have noticed various entries through Silber Records and Small Life Form is another of those entries. As with Remora – Small Life Form is one of Brian Mitchell the owner of Silber Medias’ personal musical projects. Running for over twelve and a half minutes "It Is Not Safe But It Is Warm" is a track to turn out the lights, close the eyes and languish within. One is minded of watching a rusty spot rotting away the steel surrounding as the buzzing of a thousand wasps drills into the ears. The fusion of exposed wires invites the listener to create their own capricious sound effects through volume, bass and treble. If you have access to delay and echo through your sound system, play with those functions too. "It Is Not Safe But It Is Warm" is perhaps the antithesis of the rising popularity of using mobile phones and MP3s to listen to music through reedy delivery, no matter which accompanying speakers are attached and I recommend purchasing the FLAC version from the bandcamp download where the clarity of delivery allows you optimal experience.